I love this painting. There’s something raw about it; something private, yet public. Like the artist happened upon this insanely rowdy moment, and no one cared that he documented it. What I really love, though, is the woman in blue in the front. She knows the artist is watching but she doesn’t care. She’s in control, leading, pulling a guy along for the ride. 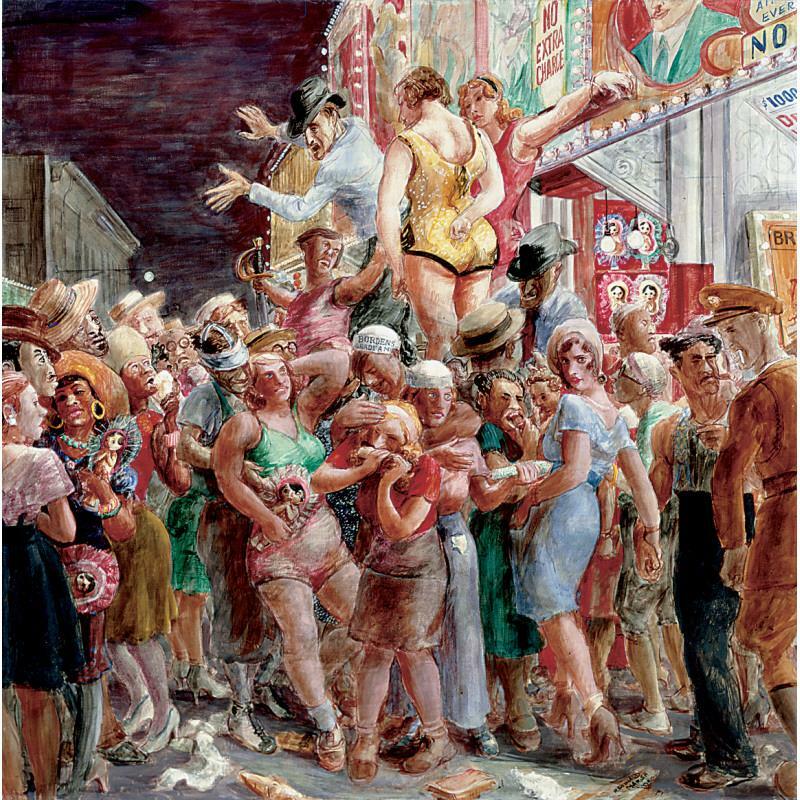 The painting shows a group of circus performers, but somehow this audience member gets the spotlight. And, really, who at one point doesn’t want that?